We are a charitable organization that believes in the idea that all human beings learn best in an integrative, intentionally creative, experiential environment in which individual gifts are given freedom to grow thereby affording our local and global community great benefit as a result. Our Emphasis is placed on the development of the understanding that despite any disability or disadvantage an individual experiences in life, when we work collectively, honoring each individual’s creative abilities, we will accomplish great things that impact the ALL. Thus our Motto statement of “Experience ~ Learn ~ Grow”. 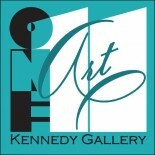 One 11 Foundation will endeavor to undertake programs, service projects and exhibitions, which advance the Visual Arts, Creativity and Transpersonal Development for all aspects of daily life among the community of individuals with physical or mental disabilities, disadvantaged youths, students, art & wellness therapy programs for the sick or elderly and to the general public by way of access to studio space, exhibitions, educational activities, residential programs or through selected partnerships with other charitable, governmental organizations with similar missions.